The Sustainable Community is a cornerstone campaign for Yanawana Herbolarios. Through The Sustainable Community, Yanawana Herbolarios offers a variety of educational programs via community partnerships in order to reach as many families within their own communities as possible. Yanawana Herbolarios is continuing to grow to The Sustainable Community campaign, and looks forward to forging additional community partnerships in the Bexar and Wilson County communities. 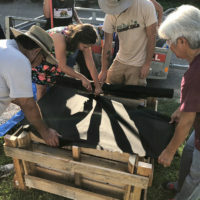 Yanawana Herbolarios will be offering free workshops to residents of Bexar and Wilson County, to reconnect participants with lost ancestral skills, foster a relationship with the land, and gain a sense of self-sufficiency. 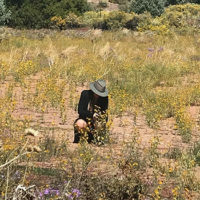 Courses will include topics like botany, medicinal wildcrafting, foraging, food preservation, nutrition, botanical medicine making, rainwater catchment, permaculture and much more! Workshops are adapted to suit the communities of our nonprofit partners. Sowing La Futura is a garden-centered youth program that instills a sense of excitement, exploration, and passion for learning through interactive educational activities. Throughout the program participants will learn how to build raised wicking beds, principles of permaculture, the basics of botany, the concept of food as medicine, beginning botanical medicine making, and first aid for garden and kitchen mishaps. Throughout this program, the participants will also care for the community garden. This program is hosted by San Anto Cultural Arts Center afterschool program located in the Westside’s Avenida Guadalupe Community. The first relationship we established in the San Antonio community was with the Ella Austin Community Center on San Antonio’s Eastside. It is a special relationship, where we look forward to getting together with the seniors for workshops covering topics most important to them. The theme of 2019 centers on personal wellness and a commitment to accountability. 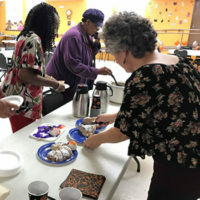 Throughout the program participants will explore the top health conditions affecting Bexar County Seniors through informative discussion and hands-on activities like botanical medicine making, food preservation, and simple fitness routines. Would you like to contribute to programs like these? Find our how you can Get Involved!